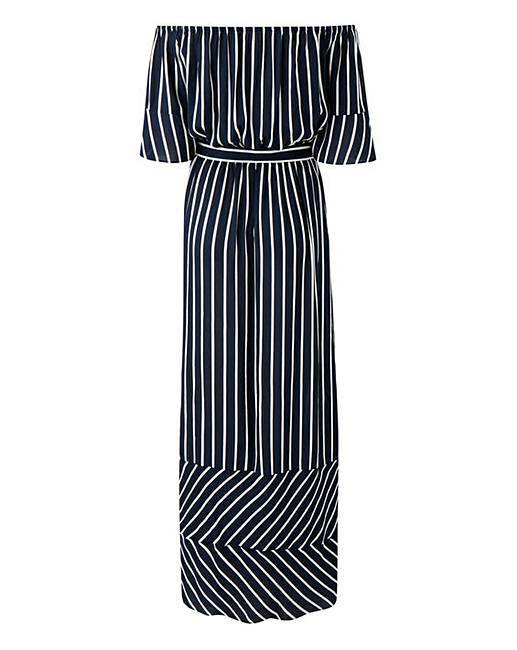 Navy/Ivory Stripe Bardot Dress is rated 2.8 out of 5 by 4. 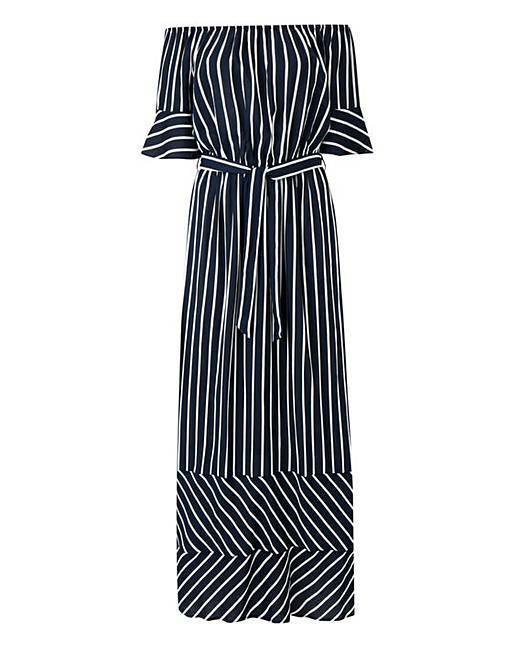 This stripe bardot dress is the perfect day dress to wear this season. 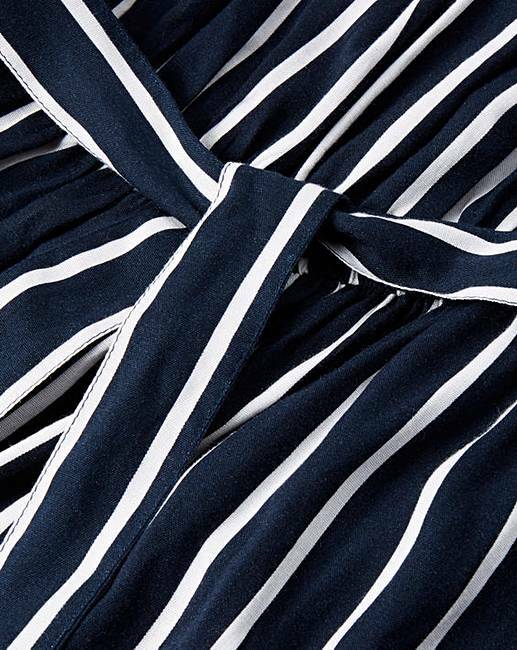 The dress is fashioned from a Navy and White stripe and features bardot detailing to the top half. Simply pair with sandals for the perfect summertime look. Rated 5 out of 5 by Sweatjacket from Lovely dress Bought this a month ago. It is very pretty and flattering, bit long, but with high heel shoes, it is fine. The material is soft and with a nice feel to it. Rated 2 out of 5 by JST from Just about ok OK, but not particularly good quality for the price. Rated 3 out of 5 by ClaireMC from Had compliments still not sure I'm still not 100% with this dress. Have had a number of compliments when wearing it but it is very voluminous and I've cinched in the waist with a waspi belt which makes it less 'maternity' feeling. I'm nearly 6ft and this is long on me which I like but would swamp someone much shorter. Not been washed yet and it is quite light material so not sure how it come out. Rated 1 out of 5 by PinkLady from Awful There was no sizing in the dress so I could check that it was a size 14. It was baggy at the waist and felt cheap.